“This year, we want to have the best tablet at ANY price,” says Amazon CEO and Founder Jeff Bezos. Will the online retail giant and monopolist bookseller succeed? The Amazon’s new Kindle, Paperwhite, Kindle Fire and Kindle Fire HD are competitively configured and prices are aggressive, coming in at $499 for a 32GB model with LTE. The catch, or the bonus depending your perspective is Amazon’s $50 a year 4G data plan (250MB/month). Yeah, there is good and there is bad, getting it all figured out is going to take time. 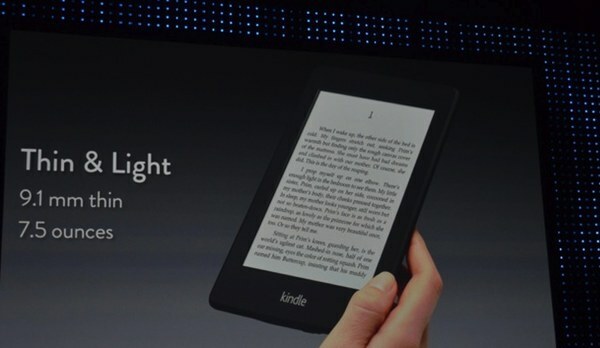 In total, Amazon offers a half-dozen Kindle-branded readers and tablets. There’s a lot to like in the Kindle Fire HD. However, sales of last year’s Kindle Fire fizzled after people realized how chintzy and underpowered it was. Kindle Fire HD doesn’t look underpowered, but the proof will be in the pudding and that doesn’t arrive until November 20, a very long time to wait. 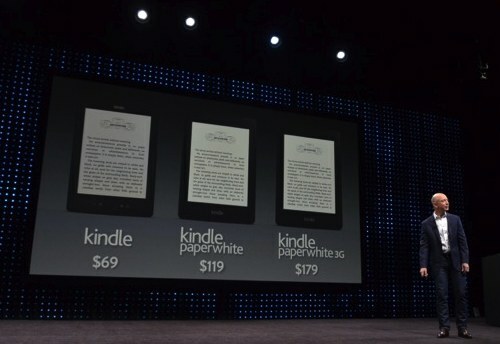 Paperwhite is brighter and has more contrast than last year’s Kindle at a really good price. Moreover, last year’s Kindle is still here and it’s stupid cheap — Amazon just solidified its ereader lead. Huge news from Jeff Bezos’ rented airplane hanger, but the last minute arrival of the Kindle Fire HD will be a deal breaker for lots of people What here has you excited? What’s got you hating?